Spring cleaning is in full swing. While it’s the perfect time to clear out your cabinets and give your closet the Marie Kondo treatment, it can also be a chance to take a second look at the products in your daily routine.  We use things every day that aren't great for our skin, our health or our environment – often without even thinking about it. Thankfully, there is no shortage of all-natural alternatives. We had the opportunity to check out the Natural Products Expo (or Expo West for short) with literally thousands of natural options for everyday essentials. So this spring, it's out with the old, wasteful products and in with the new, sustainable products! Here’s how to live your best “au naturel” life with chemical-free, eco-friendly and better-for-you products we discovered at Expo West. The ladies at Bee’s Wrap are doing away with single-use, non-recyclable plastic. These beeswax-infused cotton wraps keep fruits and veggies fresh for days – without plastic waste. Not to mention, the sustainable wraps come in several cute patterns to match your kitchen decor. 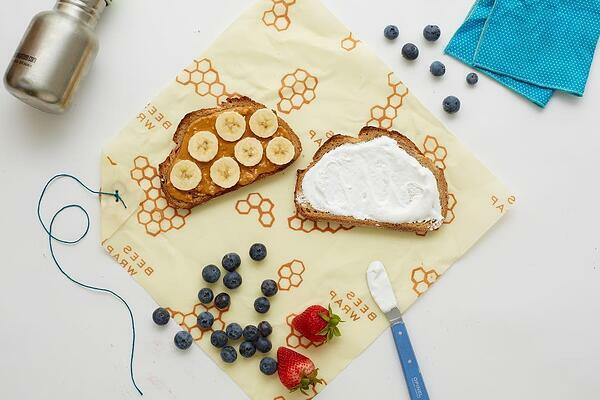 Stock up at beeswrap.com. Hello Products delivers a toothpaste that checks a lot of boxes your regular toothpaste probably does not. It’s vegan, gluten-free, cruelty-free, paraben-free, triclosan-free and free of artificial dyes and flavors – to name a few of those boxes. Plus, it’s activated charcoal formula is gentle enough for daily use, and strong enough to naturally whiten teeth, detoxify your mouth and freshen your breath like nobody’s business. Shop for Hello Products at your nearest Target, Walmart or CVS. A lot of the feminine care products we use are made with sketchy ingredients – like pesticides and chlorine – that can cause irritation and infection. Hard pass. Thankfully, there’s the Honey Pot Company with its line of all-natural tampons, pads, wipes and washes. 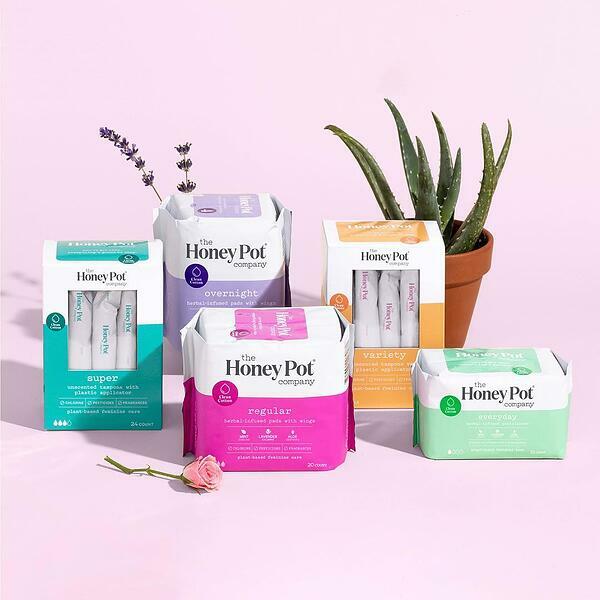 This female-founded business offers an everyday pantiliner enhanced with essential oils that creates a gentle, cooling effect to naturally help with cramps and discomfort. You can find them on the shelves at your local Target. There is such a thing as too clean, according to science. The chemical cleansers in our beauty regimens can actually strip away the Ammonia-Oxidizing Bacteria that keeps our skin looking clean and clear. The AO+ Mist restores this healthy bacteria so it can work its magic on dry, oily and sensitive skin. 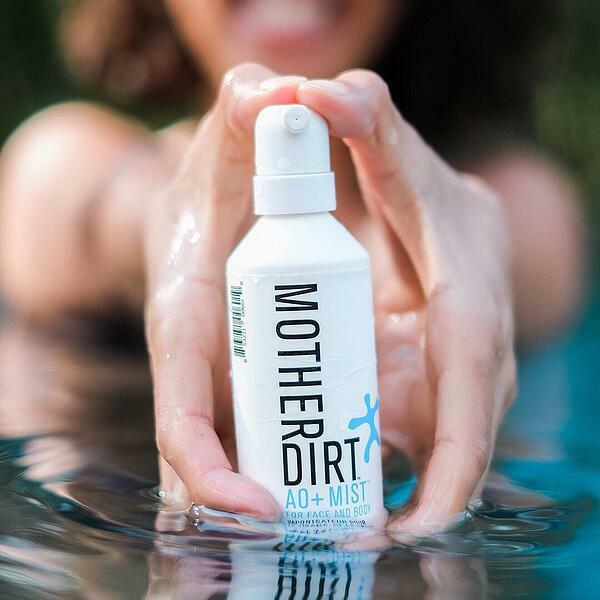 Check out all of Mother Dirt’s biome-friendly products at motherdirt.com. Treat pesky pimples the all-natural way with the Turmeric Spot Treatment by Cocokind. 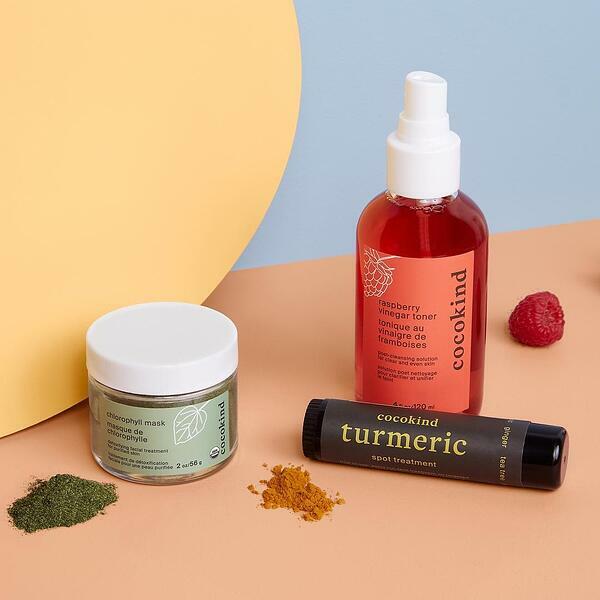 Turmeric (as well as a blend of other superfoods, like ginger and tea tree oil) packs a homeopathic punch that reduces inflammation and wards off breakouts – without drying or irritating skin. It works great on dark spots, hyperpigmentation and scars, too! This all-natural spot treatment is available online at cocokind.com. We know sugar isn’t great for our health. But did you know the sugarcane crop isn’t great for the environment either? The folks at Joolies are harnessing the power California-grown medjool dates to fix all that. 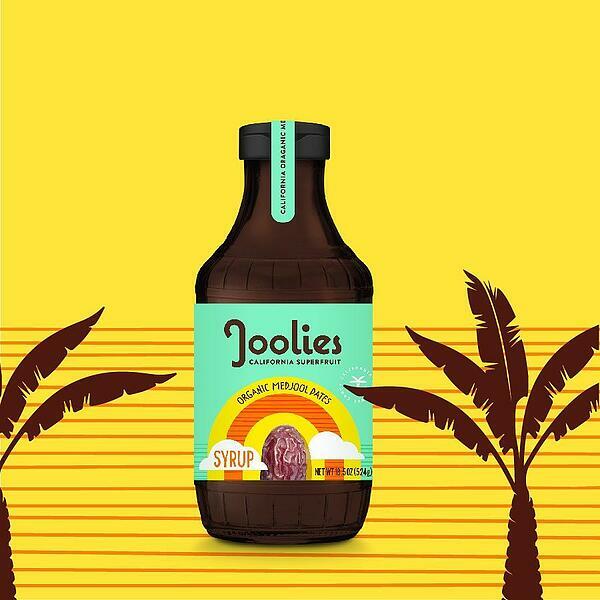 Joolies date syrup is naturally sweet, nutrient-rich and low on the glycemic index – making it the perfect all-natural companion to sweeten your morning coffee. Plus, we’re suckers for sustainability. Their packaging is made from recycled materials and their dates are sustainably harvested. This product has just launched, so it’s not on shelves quite yet. Stay tuned to joolies.com for updates. After the Tide Pod Challenge debacle, we’re all looking at our dish detergent with a little more scrutiny. 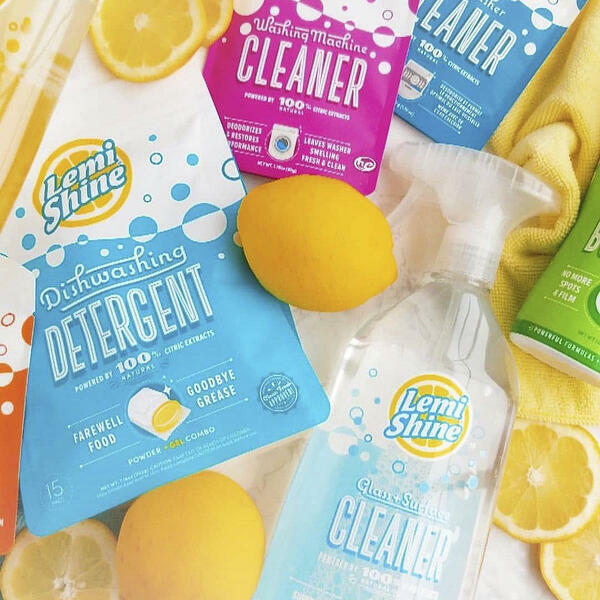 Lemi Shine Dishwashing Detergent comes in the convenient pods we’re used to, but it uses all-natural citric extract to clean dishes with zero toxic residue. Add some of this citrusy goodness to your Amazon cart. Don’t you hate it when you’re baking, sautéing or searing something and you get a face full of smoke!? 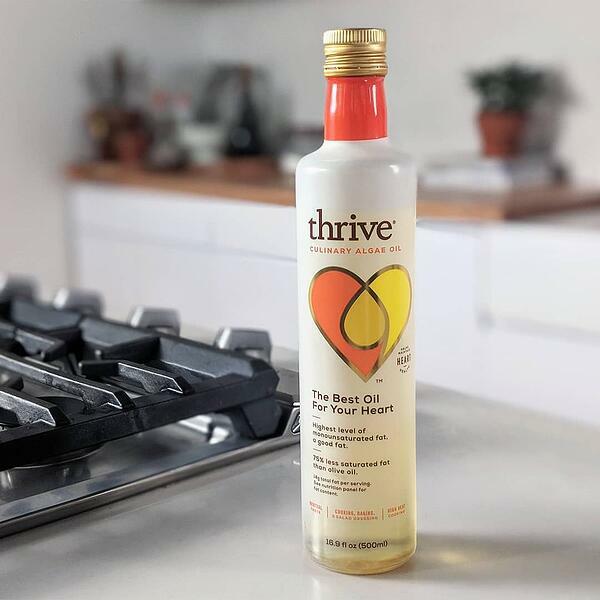 This Oprah-approved cooking oil has a super high smoke point (485°F) so you can turn up the heat without splatters or smoke alarms. Not to mention it has tons of monounsaturated fat (the good fat) and just a smidge of saturated fat (the bad fat). Even if you’re not the next Julia Child, you’ll love that this algae oil is better for the planet than other oils in your cabinet. Algae oil production has a smaller carbon and water footprint compared to canola oil, olive oil and coconut oil. Look for it at your local Walmart or Target store. Plastic pollution is a hot topic in the beauty industry. In fact, it’s estimated that 120 billion units of packaging are produced by cosmetics companies each year, most of which are not recyclable. Yikes! Upgrade your beauty routine with EcoTools. 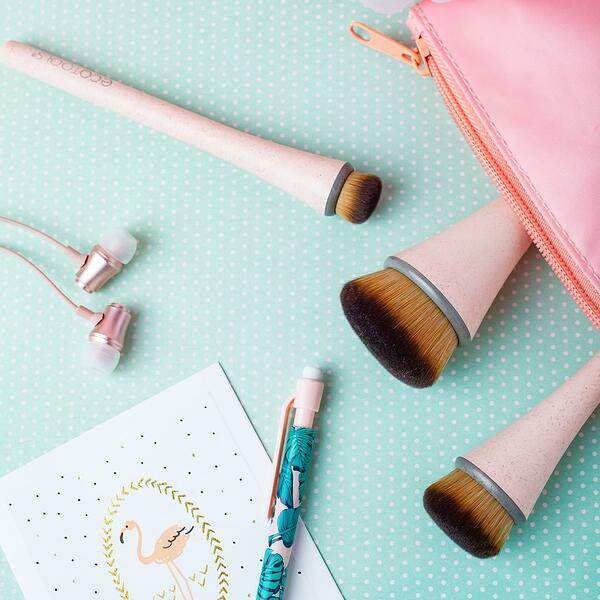 These high-performing makeup brushes are made from recycled materials and renewable bamboo. Stock up at Target, Whole Foods or online at ecotools.com.